The What: The new NEXO ID Series will be on display at InfoComm 2015 in demo room W206C. A new Space A category of products, the ID Series is intended for use as problem solvers in toolkits of system designers and installers within the professional audio industry. The NEXO ID Series is intended for use as problem solvers in toolkits of system designers and installers within the professional audio industry. The What Else: The NEXO ID Series loudspeaker cabinet is a very compact, low profile, small format, yet high output single speaker for use under balcony, for front fill and side fill applications, and is an accompaniment to NEXO line arrays in acoustically challenging spaces. 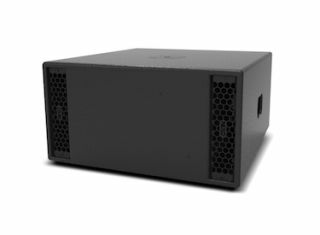 Using a variety of mounting options, the ID24 compact cabinet can fit into almost any environment, offering high SPL output with variable directivities enabling it to ‘beam’ sound into difficult spaces. Currently, the new series is comprised of the ID24 full-range compact speaker that uses twin 4-inch drivers, V formation, in combination with an HF compression driver offering two preset directivity options. Complementing the ID24 are two low profile, yet powerful subs: ID S110 (1x10 inch) and ID S210 (2x10 inch). NEXO has designated three versions: ID24i for installation, ID24t for touring and AV applications, and ID24c or the “a la carte” version, which allows the customer to custom-configure the speaker to match precise requirements. The ID24 has a unique user-adjustable horn, which can be rotated easily without the need for tools by a switch on the rear panel to give 60- or 120-degree HF coverage with the standard horn fitted. This allows the HF horizontal dispersion to be ‘tuned’ for the given application–installed or touring. The ID24 can be mounted vertically or horizontally, effectively providing the user four different directivity options in each cabinet. The Bottom Line: The ID24i, tailored to the fixed installation environment with its termination in captive cable for fast, secure connectivity using existing wiring, is available in black or white with a matching fabric grille, threaded holes for compatibility with NEXO and popular third-party mounting hardware, and is all-weather IP55 rated.